The cinematography is directed by Vamsi Paidipally, directed by superstar Mahesh is the hero, and produced by Sreenivasan Creations and Vyjayanthi Movies.C. 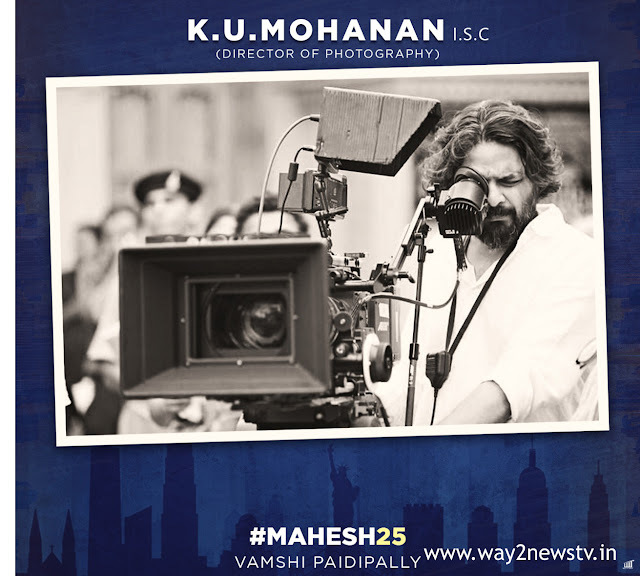 Ashwini Dutt and Dil Raju are producing a huge movie.Bollywood cinematographer KU Mohanan will be working on this film.KU Mohanan has given the magnificent visuals to Bollywood's 2006 Don film, Talaash, and Rayis is going to be the cinematographer for the superstar Mahesh's 25th film. Pooja Hegde is the heroine opposite Mahesh.Music for the film: Devisree Prasad, Story: Vamsi Paidipally, Hari, Salman, Cinematography: KU Mohanan, Producers: C. Ashwini Deeth, Dilraju, Direction: Vamsi Paidipally.